Lars and Jens Rasmussen’s mapping company was acquired by Google in 2004 and the mapping landscape transformed on February 8th 2005 when Google Maps was released as a web-based product (maps.google.com). 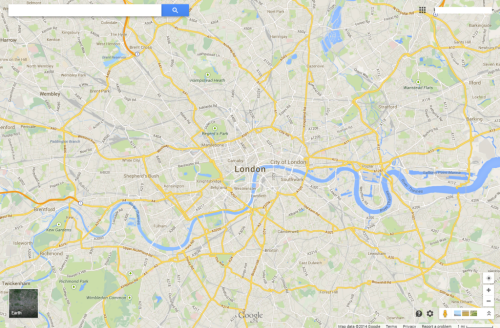 Google Maps (and numerous complimentary products) has both disrupted and revolutionised the way the people view, use and make maps and how they interact with their surroundings. Google’s intent to organise the world’s information to support their Search capabilities has often been expanded to the ideal of “organising the world’s information, geographically”. Let’s not forget that Google are a company whose focus is advertising and the revenue raised from placing adverts on web pages, their search results and on the map is what funds the business. The map has become a key mechanism for people and we perhaps cannot have predicted the astonishing rise of its use. Several other disruptive technologies have converged to enable this to happen, not least the ubiquity of the internet and rapid development and uptake of mobile devices. People now expect information to be streamed rapidly, often through a map interface. 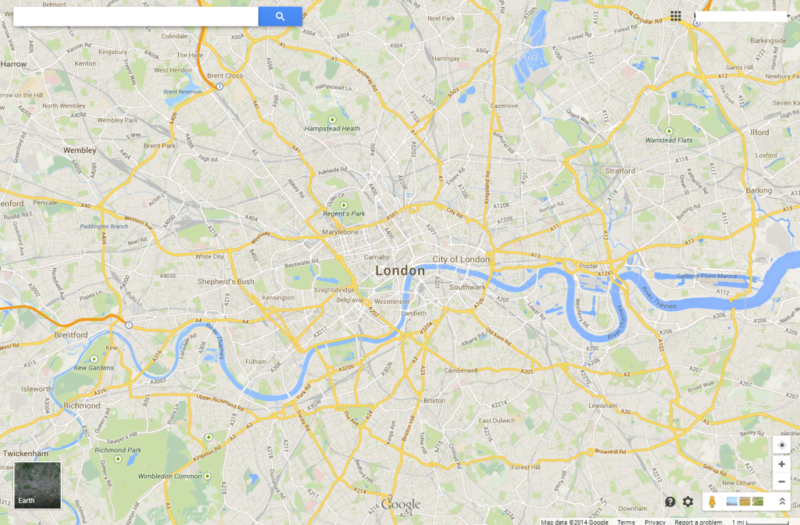 Google’s map is now part of our everyday toolkit in a way that can perhaps never have been imagined. 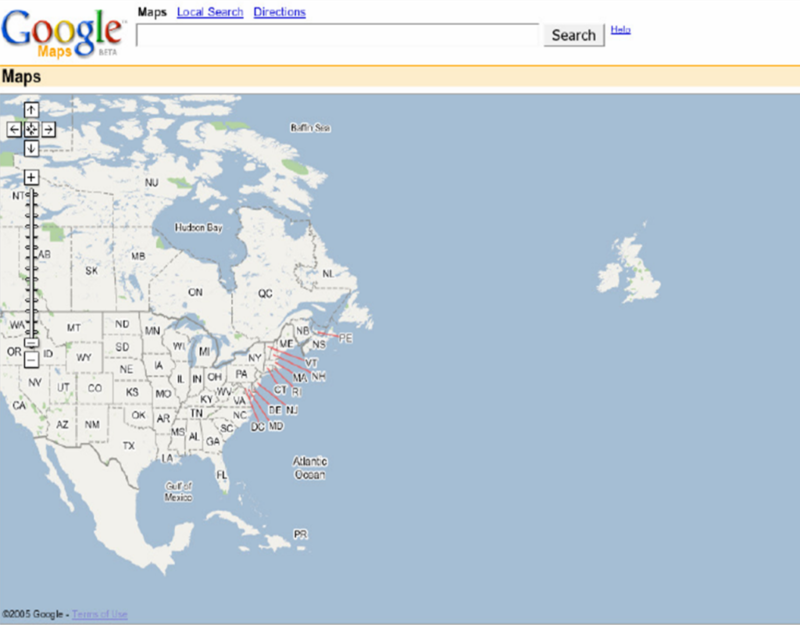 Designed to support Google’s mission but designed so well that it is perfect form of viral marketing itself. 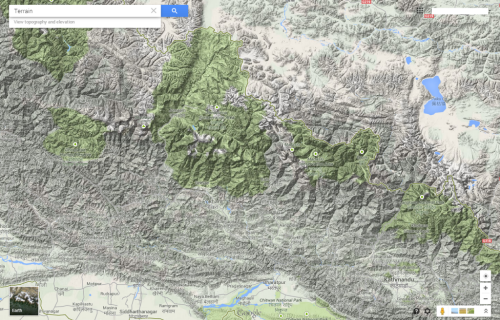 In addition to becoming the default map of choice for finding places and navigating, the Google Maps API has also underpinned the democratization of online mapping to allow anyone to create geographically contextualized mashups and also customise the base map data to their own style. The original design left much to be desired and problems of disjointed data and poor cartography have been addressed so today’s product gives a finely tuned, responsive and clean map experience. The design is recognizable and supports a strong, clear brand that is consistent at a local scale, globally. Integration of complementary functionality (e.g. routing, traffic information, overlay of social media and photographs, zooming, panning, querying and measuring) provides an application with a multitude of purposes that goes beyond a general reference map. The design is automatically modified depending on its use. For instance, secondary roads widen at particular scales when you overlay traffic information to show each direction of traffic flow. The appearance of 3D buildings and moving shadows at large scales (in some cities) represent the built environment like never seen before. 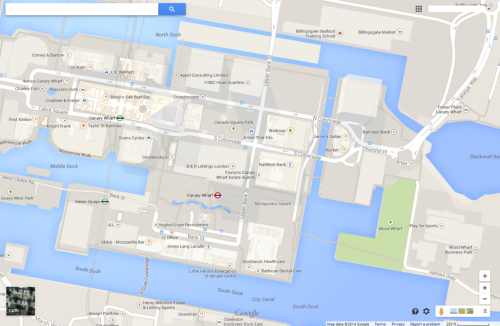 Google Maps is used every day by millions to actually ‘do something’. No other map in history can claim such widespread adoption and use. it’s successful because it works. With that many people using and testing if it wasn’t up to the task it’s use would soon diminish. It is content rich yet very straightforward. The colour is subtle and the typography sits well at each scale and transitions between scales. This is a single map but designed at 20+ scales to work at each scale and to work across the scales. It accommodates a wide and diverse range of users and is localised. 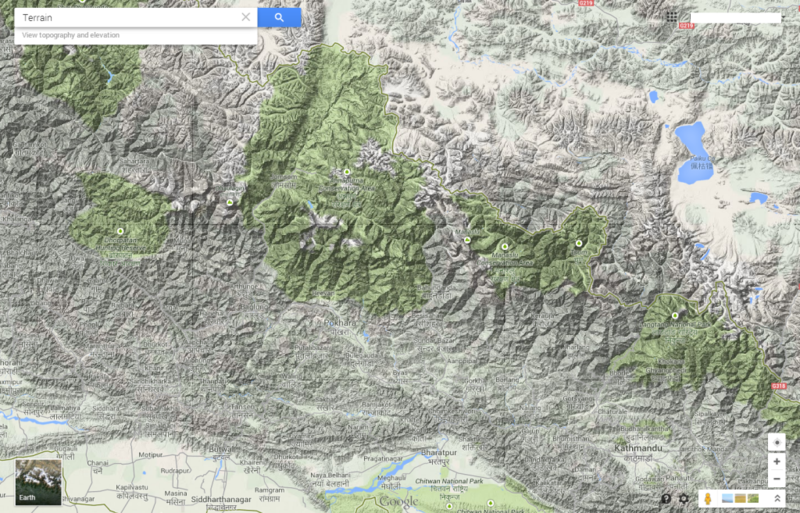 It supports terrain layers, satellite imagery and hybrid mapping. 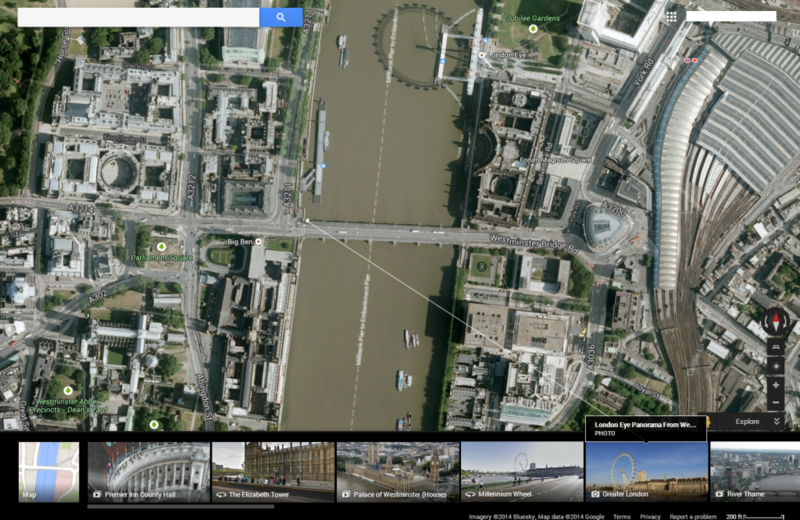 it allows you to incorporate photo tours and switch between 2D and 3D and StreetView. There isn’t much this map does not do. 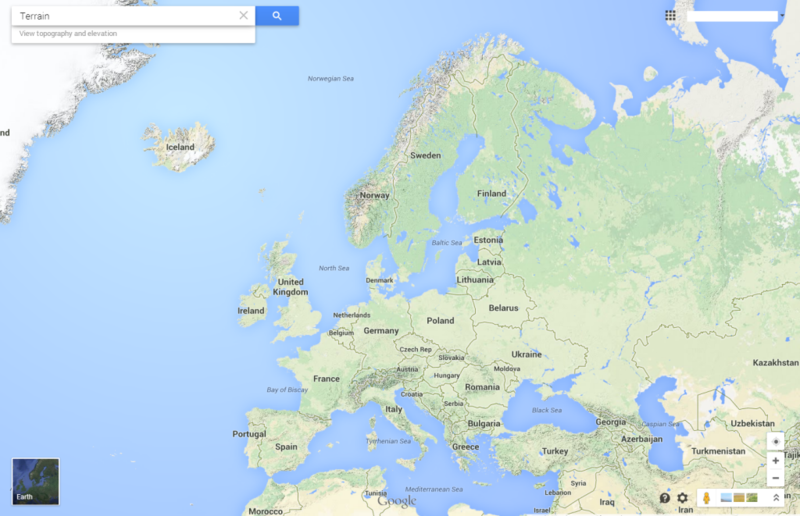 Can we ignore the fact that Google brought Mercator back to prominence? Maybe not…but Web Mercator is a perfect technical solution for serving tiles of data because it tesselates in squares, is efficient and scales rapidly. It won’t be long before projections can be modified in web maps so until then we just have to accept them (and deploy our own maps using different projections) when necessary. Quite simply the map is, and continues to be revolutionary. 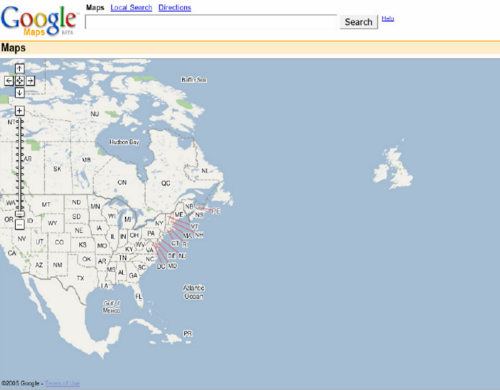 The 2005 map would get nowhere near MapCarte. 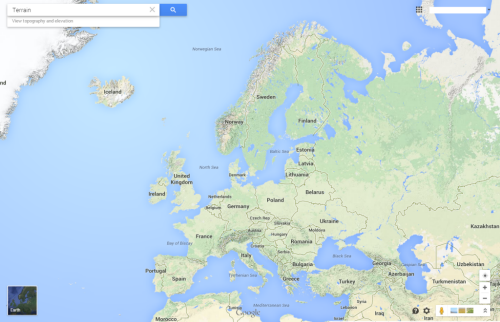 The 2014 version is state-of-the-art and in less than 10 years Google are leading big league cartography and fully deserve inclusion. I’d be surprised if anyone reading this doesn’t know how to access Google Maps but just in case…it’s here. This entry was posted in MapCarte and tagged MapCarte, mashup, navigation, reference, satellite imagery, web map by @kennethfield. Bookmark the permalink.